Enlarge this image Idaho Power says it already gets nearly half its energy from hydroelectric dams such as the Swan Falls Dam on the Snake River, just south of Boise. The utility plans to phase out its use of coal power plants. Education Images/UIG via Getty Images Education Images/UIG via Getty Images Idaho Power says it already gets nearly half its energy from hydroelectric dams such as the Swan Falls Dam on the Snake River, just south of Boise. The utility plans to phase out its use of coal power plants. Education Images/UIG via Getty Images Idaho Power plans to stop using coal energy and rely instead on hydroelectric, solar and wind resources, the utility says. The utility vows that 100 percent of energy will come from “clean” sources by 2045. Utility companies have made similar pledges in only a handful of states. Idaho Power customers increasingly see clean energy that doesn’t rely on carbon dioxide-producing fossil fuels as a priority, the company says. “We believe this goal is attainable,” Idaho Power President and CEO Darrel Anderson said in announcing the plan. Idaho Power says it has already agreed to stop using two coal power plants by 2025 and that it’s considering how to shut down its third and final coal plant. As it announced the news, Idaho Power also said it has reached a deal to buy electricity from a 120-megawatt solar farm, which will be built south of Twin Falls. That facility is still in the planning phase, and the deal will require state regulators’ approval. “Similar clean energy pledges have been made by utilities in Iowa, Minnesota and California,” Boise State Public Radio’s Matt Guilhem reports for NPR’s Newscast unit. Across the U.S., Idaho is far from alone in shutting down coal power plants. As NPR’s Jeff Brady reports, the domestic U.
coal industry is declining — even as exports to China and other Asian countries are rising. “Despite President Trump’s effort to boost the domestic coal industry, power plants continue to shut down. They can’t compete against cheaper natural gas and renewable energy,” Brady reports for NPR’s Newscast. “Environmental groups have cheered the decline as scientists warn carbon dioxide emissions will have to be dramatically reduced quickly to avoid the worst effects of climate change. In 2018, the U.S. exported more coal than it had in the past four years, the Energy Information Administration said Tuesday. #TodayInEnergy – In 2018, U.S.
— EIA (@EIAgov) March 27, 2019 But the agency also reported exponential gains for solar and wind over the past decade, saying, “U. solar generation has increased from 2 million MWh [megawatt-hours] in 2008 to 96 million MWh in 2018, and wind generation rose from 55 million MWh in 2008 to 275 million MWh” last year. U.S. solar generation has increased from 2 million MWh in 2008 to 96 million MWh in 2018, and wind generation rose from 55 million MWh in 2008 to 275 million MWh in 2018. https://t. — EIA (@EIAgov) March 27, 2019 When hydroelectric power is included, renewable energy sources in the U.S. generated “a new record of 742 million megawatt-hours (MWh) of electricity in 2018, nearly double the 382 million MWh produced in 2008” the EIA says . Idaho Power says it has 17 hydroelectric plants on the Snake River. It also owns three power plants that are fueled by natural gas, which is burned to spin turbine blades and produce energy. The Idaho plan was welcomed by the Idaho Conservation League, which says it has been working for years to see the state’s power utility commit to clean energy. In an interview with the Idaho Press , Otto added, “Climate change and clean energy shouldn’t be a political issue. Adam Richins, the utility’s vice president of customer operations and business development, tells Guilhem that the company’s plans acknowledge the possibility that new technologies could further reshape how electric utilities serve their customers. Those new technologies could include nuclear power, which may be produced by small modular reactors that the U.S. Department of Energy and its partners plan to test in eastern Idaho. They would be the first such reactors in the country, The Associated Press reported when the deal was reached in late 2018. The modular nuclear plan centers on the Idaho National Laboratory in Idaho Falls. After Idaho Power announced its clean energy plan, Mayor Sean Coletti of nearby Ammon, Idaho, asked the utility via Twitter if it will include nuclear energy. “We’ll be evaluating all kinds of new, existing and emerging technologies to help us reach our goal,” the utility replied. “That includes looking into nuclear technology, such as the small modular reactors planned in eastern Idaho. Nuclear power has deep roots in Idaho. As the Department of Energy has noted , it was a reactor in Idaho that generated the first electricity from nuclear energy, in December of 1951.. Invests are pleased to have a team of talented correspondents, who are able to bring you quality content on a daily basis. The editorial team cover every industry and have leading market experts from the stock market, ex military journalists, cryptocurrency to health and lifestyle. If it’s important to you it’s important to us and we’ve got the best in the business bringing it to you. (CNN) If you always struggle to get out of bed in the morning, this might be the perfect gig for you. Scientists are looking for women to stay in bed for 60 days to help them study how weightlessness affects the human body. As a reward for participating in the study, they will pay 16,500 euros, or about $18,522. When astronauts are in space, the weightlessness caused by microgravity changes their body. The reduced physical stress in space leads their muscles and bones to break down and body fluids to shift toward their head, according to the German Aerospace Center, which was commissioned by NASA and the European Space Agency to conduct the study. A NASA-funded study says long trips in space could destroy astronauts’ stomachs and cause cancer By simulating weightlessness’ effects with bed rest, scientists hope to develop methods to counteract the impacts of weightlessness so that astronauts do not have to spend most of their days on the space station exercising. The researchers have already created a “short-arm human centrifuge” that generates artificial gravity and corrects the distribution of body fluids. They are hoping to test it out on two-thirds of the study participants each day. Read More “Crewed spaceflight will continue to be important in the future in order to carry out experiments in microgravity, but we must make it as safe as possible for the astronauts,” says Hansjörg Dittus , executive board member for space research and technology at the German Aerospace Center. “This bed rest study … offers space researchers from all over Europe and the USA the opportunity to work together and jointly acquire as much scientific knowledge about human physiology as possible.” Participants will do everything lying down All activities — including eating, showering and going to the bathroom — must be done while lying down. Each participant will have a private room and stay in a bed inclined at 6 ° with the head end downwards. A government-funded Swedish art project will pay you to do whatever you want A team of nutritionists will curate the meals so that participants do not gain weight and have all the nutrients they need. However, the German Aerospace Center says on its website that the meals are not “extra healthy,” and there will sometimes be pancakes or other sweet treats. The study is composed of two rounds. The first group of 24 test participants — 12 men and 12 women — began on Tuesday. It’s not clear yet how many participants will be needed for the next round, which will be conducted at the German Aerospace Center’s Institute of Aerospace Medicine in Cologne, Germany, from September to December 2019. The scientists are looking for healthy women between the ages of 24 and 55 years who are non-smokers to participate in the study, according to the study’s website. Participants must be able to speak German. In 2017 NASA conducted a similar bed rest study , in which 11 people spent 30 days in bed..
Do you find yourself feeling lazy very often? Taking naps during the workday? Looking forward to your bed at night? Congratulations, because you’re eligible to work with NASA. You won’t be designing rockets, but you’ll get paid to lie down on the job! The US space agency has teamed up with the European Space Agency (ESA) to conduct a study on sleeping in artificial gravity. It’s the first time that scientists will study how artificial gravity could help astronauts better cope with the rigors of space . For the experiment, NASA is looking for 12 men and 12 women between the ages of 24 and 55 to basically lie in bed for two months. And for their trouble, they’ll be paid a hefty $18500, or approximately Rs 12.81 lakh. 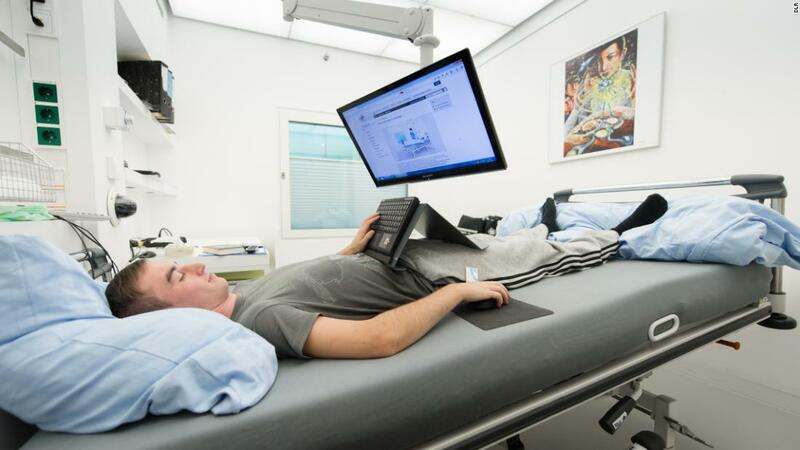 The AGBRESA (Artificial Gravity Bed Rest Study) will take place at the German Aerospace Centre (DLR) in Cologne, at their envihab medical research facility. And not just sleep, but all activities like experiments, tests, meals, and leisure will happen with the subjects lying in bed. During the study, the volunteers will also not be allowed to exert themselves. They will also be subjected to various tests of their cognition, muscle strength, balance, and cardiovascular function throughout the duration. Additionally, half the participants will be subjected to the effects of an anti-gravity chamber. Scientists hope to compare the physical deterioration of the two at the end of the study and uncover data that this technique could help astronauts in space . “Although the effects of weightlessness are primarily investigated on the International Space Station, analogues such as :envihab are helpful when studying certain research topics under controlled conditions on Earth,” says Leticia Vega, Associate Chief Scientist for International Collaborations for NASA’s Human Research Program. The thing is, when in space for a long time, astronauts have a load of physical consequences to deal with. Because of the weightlessness, their muscles can atrophy, which is why they have to work out up there more than they would have on Earth. There’s also a considerable loss in bone density, that can lead to easier breaks. And that’s on top of the cosmic radiation, stress of isolation, and mental trauma from being cooped up in a tiny box with the same people for months or years. If this study proves fruitful, it means NASA could actually spend money on developing antigravity devices for the ISS, and especially for spacecraft to distant places like Mars. 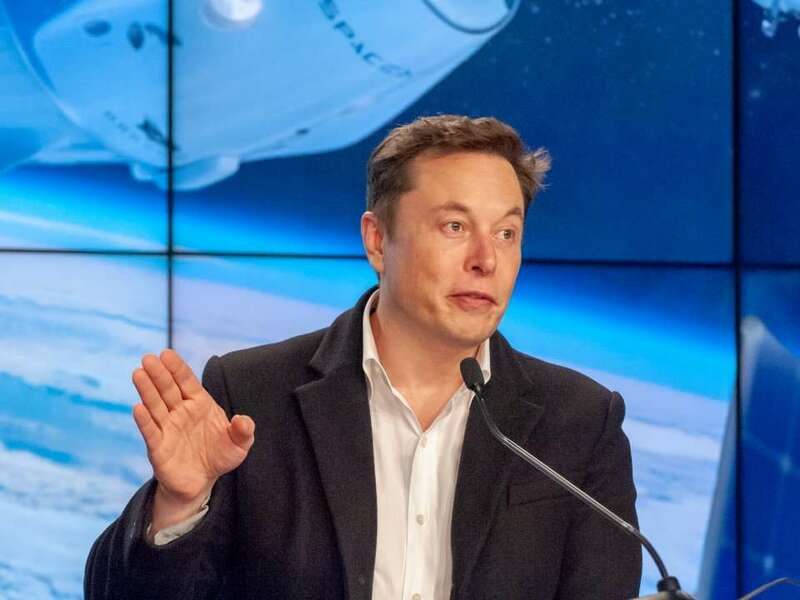 At the very least then, those astronauts will be physically healthier. .
Tesla’s biggest supporters on Wall Street are nervous about the company’s first quarter results Graham Rapier Mar 27, 2019, 09.26 PM SpaceX founder Elon Musk gestures during a press briefing on March 2, 2019. The event followed the successful launch of Demo-1: the first mission to launch Crew Dragon, a commercial spaceship designed for astronauts, into orbit. Dave Mosher/Insider Tesla likely won’t be profitable this quarter, Elon Musk said in February. The company is rushing to deliver cars before the end of the quarter on Sunday. That rush, now a quarterly event at Tesla, has even Wall Street’s most bullish analyst worrying. Even some of Tesla’s staunches bulls on Wall Street are nervous about the company’s first quarter results. The company is in the midst of an all-hands-on-deck rush to deliver cars to their owners before the quarter’s end on Sunday, and has already guided down its expected financial performance in February when CEO Elon Musk said the company may slip back into the red. “We can’t deny some nervousness about Q1 results,” Philippe Houchois , an analyst for Jefferies, told clients Wednesday. Despite his long-standing $450 price target – a 40% upside to the stock’s latest prices – Houchois is joining other bullish analysts in tampering expectations for the current quarter. “1Q19 model 3 deliveries could be anywhere between 50,000 and 65,000 units,” Pierre Ferragu of New Street research said in a note Wednesday. “We lack visibility on how much the decline in pent-up demand will affect deliveries in the U. Wall Street analysts polled by Bloomberg expect Tesla to post a loss this quarter of about $0.58 per share, on revenues of $6. 09 billion. Jefferies’ forecast is slightly lower, at $5.6 billion, thanks to slipping ASP’s (average selling price) for the Model 3, for which Tesla has begun taking orders for the long-awaited base model. New Street’s Ferragu is betting that model can still be profitable, if Tesla is able to keep lowering production costs. However, current salespeople tell Business Insider they have seen no standard range Model 3 either in their stores or out for delivery. Shares of Tesla were trading around $269 on Wednesday, about 19% below Wall Street average target price of $321. Markets Insider Get the latest Tesla stock price here..